Five Nights at Freddy’s World – a colourful, non-scary, RPG spin-off of the horror series – was scheduled to release next month. 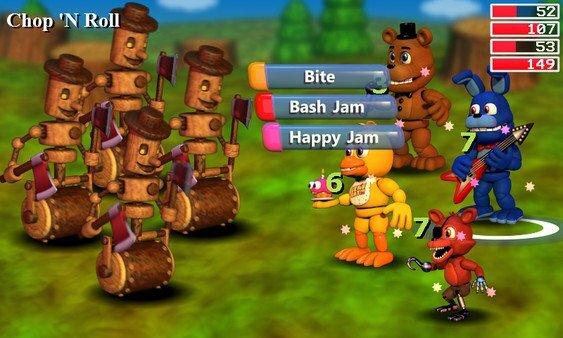 As is often the case with Five Nights at Freddy’s games, that release date hasn’t been kept. In fact, it’s moved forward. The game is available right now. With a description like that, i suspect Five Nights at Freddy’s World will end up being very scary, even though creator Scott Cawthon has previously stated it won’t be. If an RPG doesn’t take you fancy, how about a FNaF novel? Or a FNaF feature film?